Read the following first and second articles before this article. Exports in Data pump technology can be compressed and encrypted in for security and compression. You can take compressed and encrypted export like following. You can export of lots of Schemas in a same process( MEHMET, SALIH, DEVECI )like following. In the following example, the personel table of the HR schema is exported and imported. This export file transfered to the test server is imported into the related test database as follows. Table will be appended with old and current values. You can export and import lots of tables in the same export process like following scripts. You can take full database export with datapump. But full database export is not like RMAN, In general terms, data pump does not provide for full backup like RMAN. 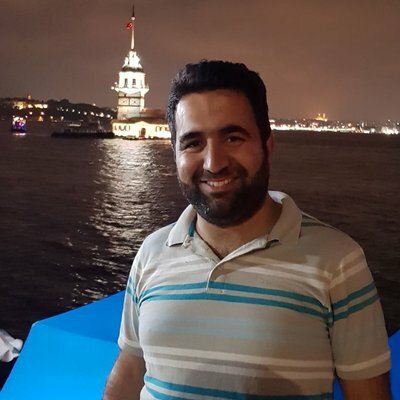 RMAN is prefered for database full backup instead of datapump. 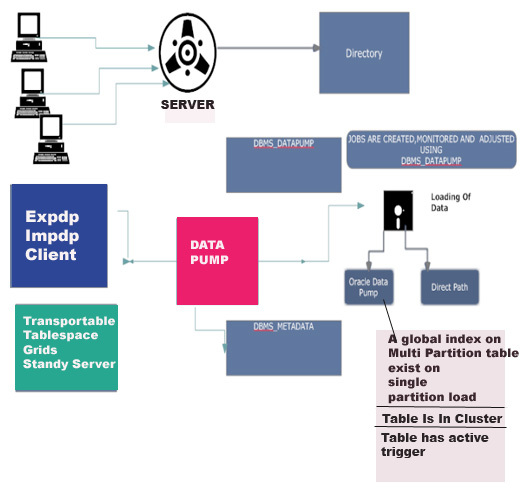 Data pump is very effective for table and schema moving or backup. You can take full database export with datapump like following. We can import the above HR schema directly into the test database. On the other hand, we can speed up export and import process by adding parallelism. Parallelism count depends on the number of cpu. For this, data pump technology allows us to speed up this process with parallel parameters. Parallelism can be given as follows. This number of parallelism should not more than the number of cpu of the physical server. One of the things that should be considered during the export import process is whether the data to be kept is in the same tablespaces. The tablespaces of tables to be moved are either created with the same name if the tablespaces are not exists in the target database. Or if the tablespaces are not exists in the target database, you can use remap tablespaces option to remap old tablespaces with new tablespaces. We can provide this with the remap_tablespace parameter as follows. In the following example, while the HR schema in the source database is kept in the DATA01 tablespace, it will be kept in the existing DATA tablespace in the target database because there are no tablespace in the test database. We can provide this as follows.